ANNOUNCEMENT – BURNCO Landscape Centres Inc. acquires Canar Rock Products of Edmonton and Red Deer. BURNCO Landscape Centres Inc. has acquired the assets and business of Canar Rock Products in both Red Deer and Edmonton. Canar has been providing landscape supplies to the Edmonton market for 30+ years, and then expanded into Red Deer around 10 years ago. Morgan Martel, Vice President of BURNCO Landscape Centres Inc. said “BURNCO is very excited to come together with another Alberta-based, family owned business in Canar. They have built a long-standing reputation as a preferred destination to purchase landscape supplies for both landscape contractors and homeowners alike. We plan to continue the long-standing relationships that Canar has built with its customers, and hope to expand upon the services and selection that have been traditionally offered”. 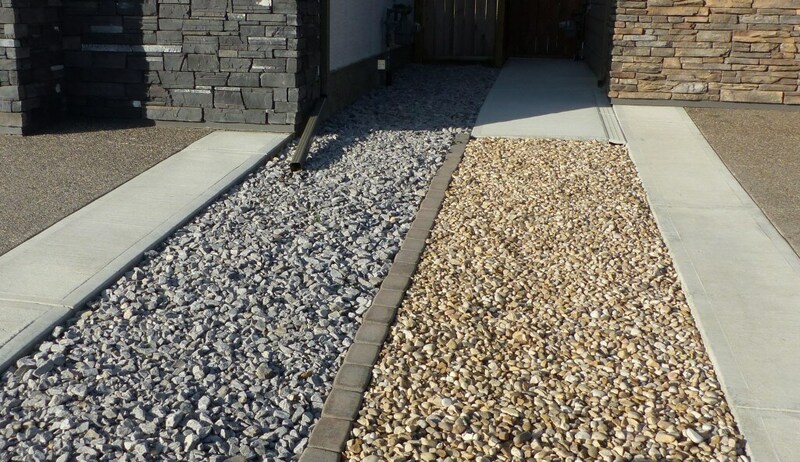 BURNCO Landscape Centres is a wholly-owned subsidiary of BURNCO Rock Products Ltd. BURNCO is a fourth generation family business established in Calgary, Alberta in 1912. The company has operations throughout Western Canada, Texas and Colorado supplying ready-mix concrete, aggregates, asphalt and landscape supplies to a broad range of customers. A water feature can be a great addition to your landscape. Not only can it set your home apart from others, it also gives you the soothing sights and sounds of a waterfall from the comfort of your own home. However, the one main issue that daunts any homeowner is the concern of high maintenance features. Yes, they can be a great addition to your landscape, but they can also mean hours of upkeep and cleaning. So what if there was an alternative? One where you could have all of the benefits of a water feature in your yard without the hours of upkeep and cleaning? An endless/pondless water feature is a low maintenance feature that does not end in a pond, instead the water disappears into the base. This is a great alternative for people who have kids or pets, since it eliminates the danger of them falling into a pond. It is also easily personalized, since you can surround your water feature with anything from shrubs, to decorative ornaments, to decorative rocks. This means that your water feature is a yard addition that is unique to you. Now just because we say water feature, this does not mean it must take up a lot of space. The great thing about these endless water features is that they come in a range of different sizes. From a small trickle of water, to a full fountain, there is something to fit all households. Regardless of size, they are still a low maintenance alternative since the water runs into the base which is normally covered by rocks. This means no cleaning like you would if it ran into a pond, and no muddy area surrounding the base. 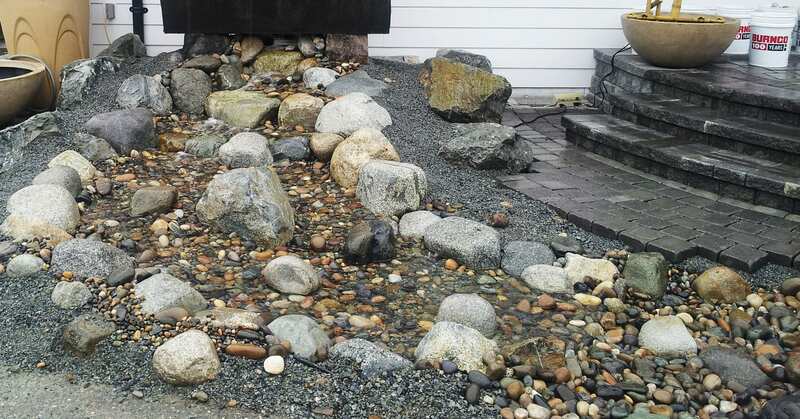 The great thing about endless water features is that they can be easy to install, since many kits are easily put together using their instruction guides, or there are many DIY videos online to guide you through the steps. However, for those not looking to build it themselves, there are landscape contractors that are willing to help! Our BURNCOPRO Professional Landscape Referral program can put you directly in touch with three landscape contractors that we believe are the best fit for the job. We believe this makes it even easier for you to achieve your dream backyard, and gives you no excuses to delay it any further! With the hectic hustle of everyday life, a vacation seems like an ideal escape from the usual routine. By simply revamping your back and/or front yard, it can result in you having that dream vacation feel throughout your year, without ever leaving the comfort of your home. From foliage to fire pits, there are so many ways for you to increase the value of your home and have the vacation you always dreamed of! For the wilderness lovers, what could bring more nostalgia than your own fire pit? Having the ability to enjoy the night sky while cuddled up by a fire is an amazing option, and can easily be achieved by installing a fire pit in your own backyard. This can also add value to your home since it is a feature piece that many people may not have. For the adventurers who love the tranquility of being near a body of water, there is a way to have that serenity from your own home: a pond or a water feature. The benefits span way beyond being appealing to the eye, or the soothing sound of flowing water. It again adds value to your home by being that “standout” feature that many homes don’t have. It also attracts wildlife to make your home more of a dream oasis! For the climbers and hikers, why not bring part of the mountain to your home? 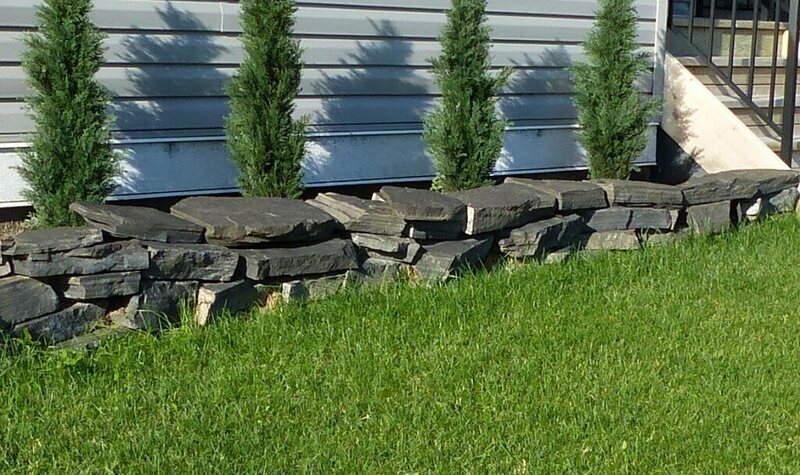 Decorative boulders are a great addition to your landscape, and are a low maintenance feature piece for any yard! Not only do they make great accents that spice up a plain or boring landscape, they can also be used to hide property eyesores or elements that can’t be moved (such as an irrigation pump or cable box). And finally, for the luxurious foodie, the grand outdoor kitchen, Pizza Oven or BBQ with an island bar. 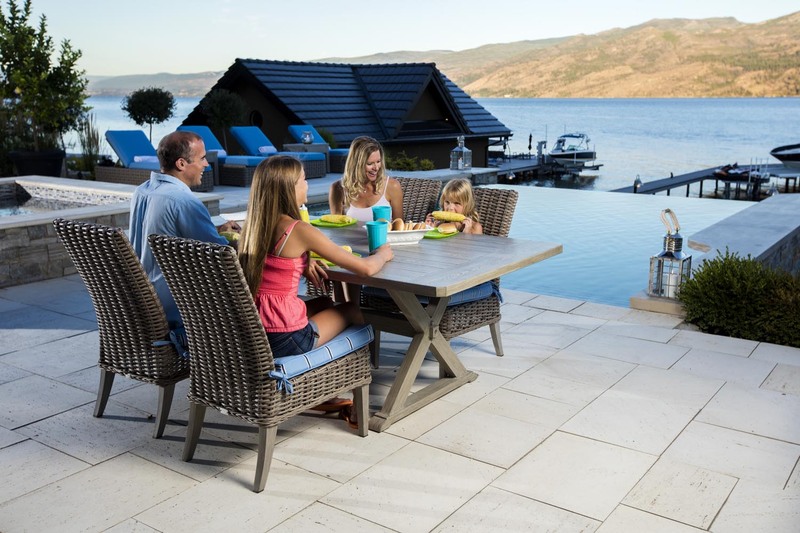 Installing an outdoor kitchen would make it easier to clean after making a large family meal, while adding another feature area to your home. The number of BBQ’s would increase, along with the value of your home! There are so many ways to create your own dream vacation in your own home. Stop dreaming about your dream vacation, and invest in making your house a home that you dream about coming home to! With the economy the way that it is, it’s no secret that it’s a renter’s market. With so many houses available, everyone is exhausting themselves trying to add value to their homes. However, we suggest a new way to add value to your home: by stepping outside of it. Studies have shown that landscaping not only adds value by enhancing curb appeal, but can also increase the rate at which your house sells. According to a study completed at Clemson University, taking your landscaping from “good” to “excellent”, in terms of design, condition, and placement, can add 6% to 7% to a home’s value. Even if you aren’t looking to sell your home, landscaping is still a good investment. Not only does it add value to your home, but also increases the value of your neighbor’s homes. Now we know what you are thinking, landscaping is already a big enough task without even considering the upkeep and maintenance of a good looking yard. So what if we told you that there are multiple landscaping options that are low maintenance, and that may require less upkeep than you are currently doing? So lets start with the one thing that almost all yards have: grass. The weather conditions in Canada can be problematic when it comes to maintaining your yard and keeping your yard green, this is especially true for those people with beloved pets. So we have a few alternatives that are even more low maintenance than regular grass: artificial grass, or replacing the grass altogether with decorative rock or paving stones. Artificial grass is a low maintenance alternative that is also environmentally friendly since it doesn’t need the use of chemicals (such as herbicides or pesticides) in order to remain pest free. It also remains green all year round, and can reduce your water bill since there is no need to water your lawn! 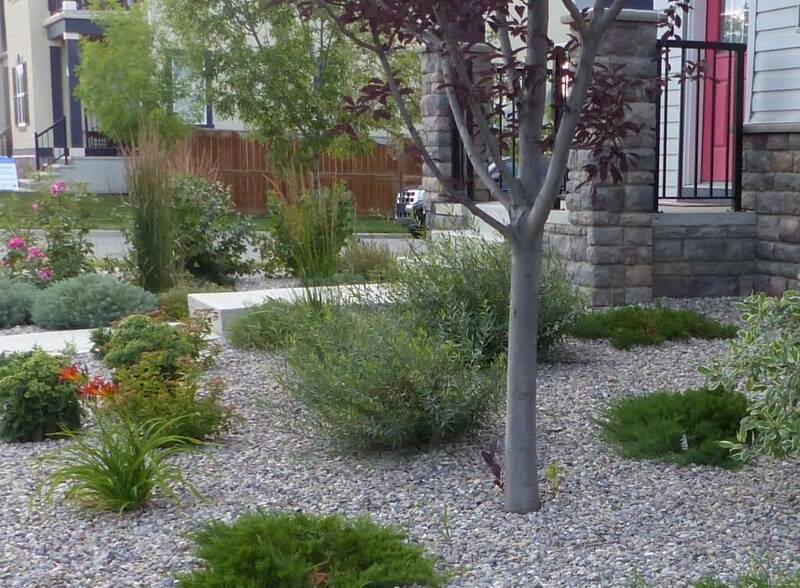 The other alternative is replacing your grass with paving stones or decorative rocks. This gives you the option to choose a color other than green as the focus of your yard. Decorative stones also allow you to keep plants in your garden, which is not possible with artificial turf. Adding a walkway leading up to your home or in the backyard is also another easy touch you can add to make your yard a little more appealing. By creating a walkway towards your home, you give a direct sense of direction into your home, and walkways are very low maintenance. 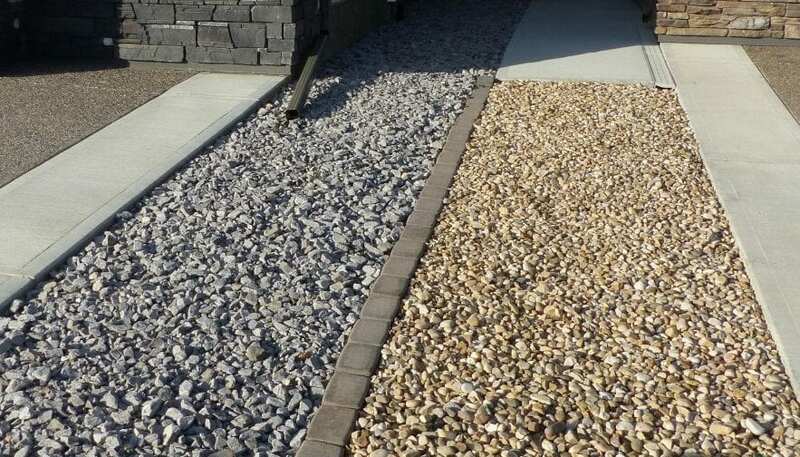 There are multiple ways to create a walkway, whether it’s getting steps built going up to the home and then accenting them with decorative rocks, or just using paving slabs placed onto the preexisting grass, there is a walkway to fit your home. Finally, a great addition to landscaping your home would be a fire pit. 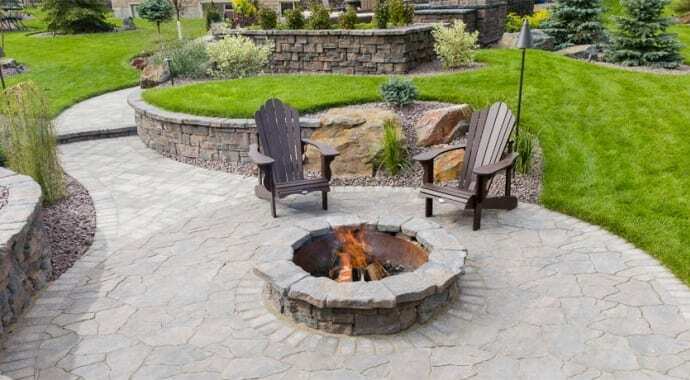 A fire pit could be something that sets your home apart from others on the market, as it shows potential buyers an outdoor space they can utilize in addition to their home. It is also a great addition to any patio that is already there, since it can extend the time spent outside with family and friends. In summary, the use of landscaping can add value to your home, simply by making your home stand out from others. However, when considering a plan for your landscape, make sure that it fits in with other houses in the community. Although you do want your home to stand out, make sure that it is still appropriate and aligns with the other homes around you. 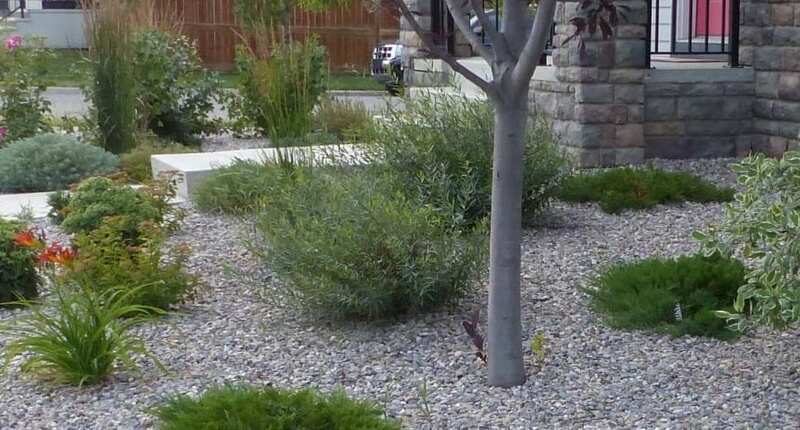 Landscaping may seem like a big task in the beginning, however there are many different contractors or stores, such as BURNCO Landscape, that will be there to help you every step of the way. Even if you aren’t looking to sell your home anytime soon, landscaping can be a great investment now that will pay off later! In order to eligible for consideration, products used to transform the landscape must be purchased from BURNCO Landscape Centres. The work must be completed within the competition deadline (June 1, 2016 – August 15, 2016). Winners will be decided by our BURNCO Landscape team, and contacted directly. By posting images using this hashtag, BURNCO may choose to use these images in the future for advertising or promotion purposes. The first place winner will be able to pick up their Expocrete Weston Stone Fire Pit at the closest BURNCO location, however delivery is not included. The second and third place winners will also be able to pick up their gift cards at the closest BURNCO location. The contest is open to people in Alberta, British Columbia, and Saskatchewan, since this is where our BURNCO Landscape Centres are located. Contest closes August 15th, 2016. Imagine, sitting outside and looking at the stars surrounded by your loved ones in front of a fire. Now imagine this picturesque evening from the comfort of your own yard, instead of having to drive out into the wilderness and camp overnight, or even jet off to an exotic location. Your own backyard escape can be created, and can give you an oasis at your own home. A fire pit would not only give you the opportunity to have this ideal evening from the comfort of your own yard, but it would also increase the value of your house in various ways. 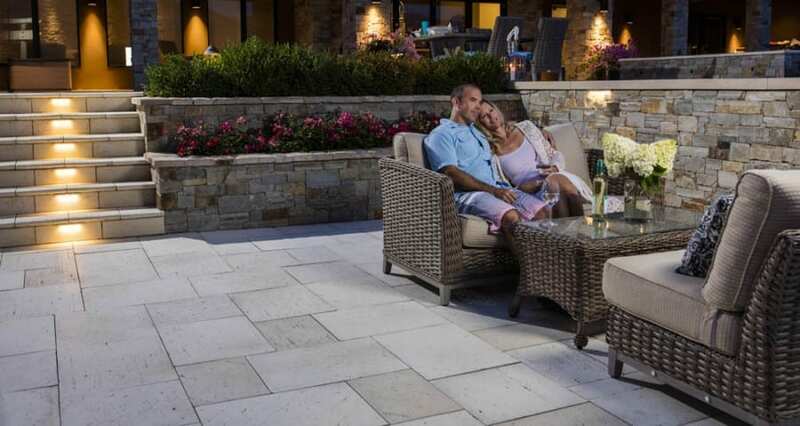 First, it gives you and your loved ones a space outside to meet around and enjoy the night. Even on those evenings that may have a slight chill, there is nothing quite like snuggling up around a fire with the people that you love. Secondly, it gives you the option to go “urban camping”, meaning that you can make dinner over an open fire, maybe even have some s’mores for dessert, however avoid the harsher parts of camping, such as sleeping in a tent. All the comforts of a home with the beauty of the outdoors. Thirdly, fire pits can add a dollar value to your home by creating a gathering place for friends and family. If you are considering selling your home, it shows potential buyers an outdoor space where they can make memories. It is also an additional feature than many other homes may not have, which in turn allows your home to stand out against others. Finally, a fire pit allows you enjoy the season a little longer. It gives you the chance to enjoy the outdoors sooner in the spring, when the Sun stays out longer but the chill is still in the air from winter, and also allows you to continue your summer when the chill begins again at the end of fall. And if all of these reasons aren’t enough for you, maybe the wide variety of fire pits available at your closest BURNCO Landscape Centres will! With fire pits to fit every back yard, you don’t need to venture far to find the ideal addition to your home. The European Chafer beetle has been a growing concern for homeowners in the Vancouver area for over a decade. This exotic pest feeds on the roots of many different plants, but their favorite feast is the fibrous roots of turf grasses. This results in a spongy feeling lawn, due to the tunnels they dig under the lawn, and brown patches in the lawn since the Chafer beetles kill the grass by eating the root. If this wasn’t bad enough, the most damage isn’t done by the Chafer beetle itself. The most serious turf damage is done by the crows, skunks, or raccoon’s that dig up the lawn in an attempt to feast on the Chafer beetle grubs. When it comes to controlling the spread of the Chafer beetle and dealing with an infestation, the use of pesticides is not permitted in Vancouver due to Bylaw No. 8041. Therefore, the most effective biological control measure is the use of nematodes. These are safe to use around both people and pets, and are most effective if used in late July since the young grubs are most vulnerable at that time. The use of nematodes is not a preventative measure, they are to be used for those already with a Chafer beetle infestation. Nematodes can be applied by anyone, however the lawn must be well irrigated to ensure that there is no dry soil in the root zone. This means you must get a City Lawn Sprinkling Permit which gives you an exemption from sprinkling regulations or restrictions. After applying the nematodes, and getting rid of the Chafer beetle infestation, you will need to fix the damage already done to your lawn. There are two possible options, both which we are already equipped for! The first option is to take out all of the damaged sod and soil, and replace it with new. We have soil, seed, and sod, all available for pickup or delivery at your convenience. If you are unsure as to which soil you need, you can ask one our landscape coaches, or any on hand staff at any of our locations, and they will help you figure out which is best for you. The second option is to completely strip out your lawn and replace it with artificial grass, such as Bella Turf. Now although it is an artificial alternative, it would ensure the Chafer beetle infestation does not return since there are no grass roots for it to feed on. Artificial grass also eliminates the job of watering, aerating, weeding and mowing your lawn. This low maintenance alternative also comes with a ten year warranty with Bella Turf. Either of these options are ways to recover from a Chafer beetle infestation, and our staff are on hand to help with any questions you may have! Together, we can rid your lawn of Chafer beetles, and bring it back from destruction. Your dream backyard is still within reach! Creating a beautiful rooftop deck, balcony or patio can be a stunning addition to any building, but it can also pose several issues. How do you ensure the decking is level? How do you make sure it allows for adequate water drainage beneath the pavers? And how do you make sure it is solid and stable? One way that contractors are solving this problem is through a pedestal system. Three main systems used today are: the Rubber riser for tight low profile situations, the BlackJack OneStep solution for mid height situations, and the BlackJack system using a screw jack for higher profile heights. The BlackJack screw jack system uses the Versijack product for pedestals. All of these systems create an elevated, firm surface on rooftops, roof terraces, balconies, patios and plaza decks, however the Blackjack pedestal system is ideal for creating a level raised paver slab on both even and uneven surfaces. Wood decking can also be used with the special Joist Holder adapter, since it would also provide drainage underneath, and would be ideal in situations covering ductwork and piping. What do BlackJack pedestals do? BlackJack pedestals using the Versijack system are height-adjustable, and can support pavers or decking at heights of anywhere from 74mm to 1016mm to create a firm, level surface. They are manufactured from recycled materials that meet RoHS requirements. The pedestals and components are lightweight and easy to install, yet durable and strong. With the purchase of the slope adapter, you can adjust the roof from 0-5 degrees to provide a slat top surface once the paving slabs are laid. 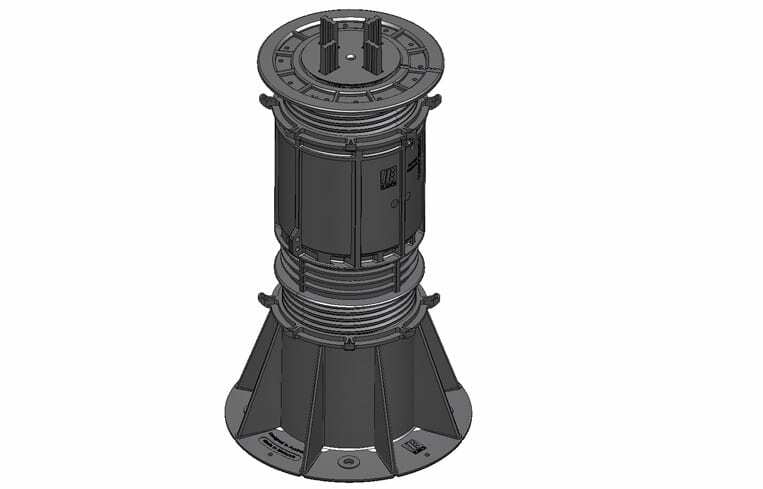 BlackJack Pedestals use the Versijack system and its three main components: a base, extender coupling, and a top. The large, flat base sits on the surface, while the extender couplings are utilized when a larger space below is needed to go over obstacles. The top cap is screwed onto the base. If height is required, then an extender coupling is added between the top and the base. More couplers can be added for extra height but not to exceed the maximum height. The Cross Tab is snapped into the top of the cap to provide even spacing. These are included in the BlackJack system, but are normally an extra on the standard Versijack system. Slope correctors can be added to the top of the pedestal for accurate adjustments. A pedestal is required at every intersection of pavers, including between each paver on an outside edge of a project. The quantity required depends on the size of the paver slab and the shape of the area to be covered. The BlackJack pedestal systems feature easy screw adjustments and offer high compressive strength. An added benefit is that the raised surface allows services such as electrical and plumbing to be hidden, yet are still accessible for maintenance. This system improves both heat and sound insulation by creating a void below the pavers. It also allows for rapid surface drainage and a reduction in efflorescence and algae growth. The BlackJack OneStep system is a lower profile system that is only piece, and is adjustable from 24-45mm in height. There are also two heights of extenders for the system. The first extender is 20mm in height, and the second is 40mm. These are placed under the OneStep pedestal, and can be used in combination to build a height of 105mm. This is a lower price solution that can withstand the weight of 5618 pounds (25kN). The Rubber Shim is a third option for very low profile situations. It is a 150mmx150mmx12.5mm rubber pad that can be used in tighter situations to allow drainage under the paving slab. This product is for an application where the paving slabs are installed tightly together. Most applications have a narrow space between the paving slabs, and these are called a Rubber CT Riser. For this we use the same product, but it also has a cross tee built into the rubber. The majority of decks and balconies use this type of system. Pedestal systems are used primarily in commercial applications such as restaurants, hotels, convention centers, warehouses, and high-rises; but are also used in residential instances. It’s highly recommended to have a licensed contractor install the system to ensure that the warranty is valid for your roofing membrane, in case of damage by the installer on application due to carelessness. A careful individual would also be able to install these systems without any problems.